Under Ohio law, a probationary revocation of your license results if you are convicted of two moving violations before the age of 18. 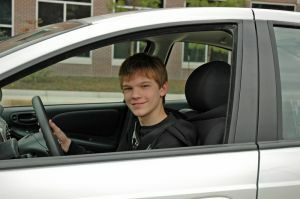 Serve a 90-day suspension, Complete a 6-Hour State of Ohio Juvenile Driver Improvement Program, Pay a re-instatement fee to the BMV, Purchase a temporary permit packet from the deputy registrar license agency (take your certified birth certificate & social security card with you), Retake a complete driver examination You may appeal to the court for driving privileges when you reach 18 years of age if the suspension goes beyond your 18th birthday. Online registration must be received by Friday 2 p.m. for Saturday class. This course is offered once per month on scheduled Saturdays from 8:00 a.m. - 2:40 p.m. NOTE: Class begins PROMPTLY at 8:00 AM. Please be here by 7:45 AM. If class begins and you're not here, you will forfeit your fees and not be allowed to attend the class. TERMS & CONDITIONS: Please select the link, read the verification form, print it and bring with you to class. To proceed with your online order, check the box verifying that you have read and understand the Terms & Conditions.